Smokin’ George Winters became active with Dueling Pianos at JD’s Key Club in Pontiac, MI. 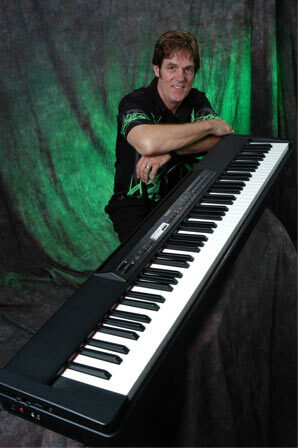 He quickly fell in love with the concept and continues to be busy performing dueling pianos abroad to this day. For anyone who has never experienced Dueling Pianos, it is an interactive, request-driven voyage of sing-along and comedy. Music from numerous decades is performed via audience request and the audience is encouraged to take part in the show at every opportunity. 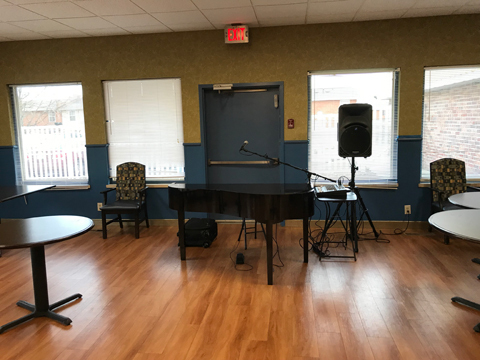 No dueling pianos player has a electric combination of putting the audience first with lightning-fast piano solos like George. He’ll pull you in with his contagious smile, and then blow you away with his playing! George offers a Christian Show too! Our Corporate Holiday Party at The EMU Union Grand Ballroom Ypsilanti was great! 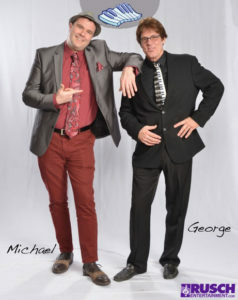 We had nothing but positive feedback on George and Michael. They were able to get people engaged and then played music after their performance for people to dance, which they did. They both did an excellent job and we were very pleased with their stage presence. LOVE LOVED them! Merry Christmas and Happy Holidays.